Divine K-9, Inc’s Philosophy & Technique utilizes scientific principles based on learning theory to better communicate what is requested of the dog. Understanding develops during the training process, strengthening the relationship between human and canine. This allows the owner to gain control of the household as well as begin to feel the joy in having a dog as part of his or her life. Statistics show that the majority of owners who send their dogs to shelters do so because of undesirable behavior. This is often the result of a communication breakdown. Both human and canine can become extremely frustrated and confused. By using body language and verbal cues, supported by reward-based techniques, we help owners and canines overcome communication barriers for a truly “divine” relationship. Dominance vs. Leadership: Divine K-9 offers a variety of methods to help the human be a good leader instead of using intimidation techniques to gain a dominant status over the dog. 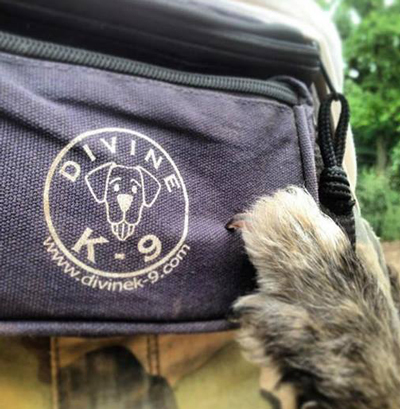 Divine K-9’s Philosophy & Technique creates a place of mutual respect, trust, and appreciation between human and canine. The Divine K-9, Inc. training methods are unique. Human frustration is a common obstacle, and is sometimes deterrent in dog training. Respectful of this frustration, we ease the strain by interpreting the anxieties and learning obstacles of the dogs. Because of our knowledge in dog behavior, we are able to investigate the cause of the unwanted behavior, instead of just trying to fix the problem to obtain a goal. Through insightful training techniques, we will help you understand your dog’s needs and manipulate his traits into desired behaviors. Divine K-9 uses a variety of techniques to teach obedience and correct behavior problems. 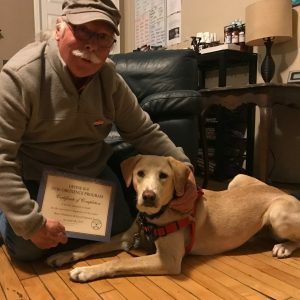 By using a balance of meaningful rewards, humane corrections, and an understanding of canine body language, we will create an extremely safe and effective training program for you and your pup. Behavior Modification is a driving force in the Divine K-9 technique. It is defined as the use of rewards or punishments to reduce or eliminate problematic behavior, or to teach a dog a new response to environmental stimuli. The goal of a program of behavior modification is to change and adjust behavior that is inappropriate or undesirable in some way. Your dog will learn that there are consequences for his behavior. We use positive, creative techniques to teach your dog how to think and how to make good choices. These techniques help build confidence in your dog while forging a trusting bond between you and your pup. And timing is key! Pet owners must praise good behavior instead of taking it for granted. It’s easy to forget to praise good behavior because it goes unnoticed. But the very nature of misbehavior gets our attention. We don’t notice when our dog is lying quietly, but excessive barking gets our attention. How many of us take notice and praise our dogs when they chew their own toys? But we all go berserk when we notice our favorite pair of shoes chewed up! Praise and reward are the most important part of maintaining good behavior and preventing problems. Jorge gives his cell phone numbers to each of his clients so they may reach him anytime they require assistance. Divine K-9’s Philosophy & Technique goes beyond the mechanics of obedience commands and teaches owners how to live with their dog in a way that encourages K-9 responsibility, awareness, loyalty, and decency.